The Global smart connected ranges market in 2016 had a share of over 45% of the cooking appliances market. A range is a combined cooking appliance, which has two parts - stovetop and oven, a mixture of electric ranges, gas ranges, induction ranges, and double oven ranges. With the wireless technology enabled in these cooking appliances, customers can monitor and control the oven through their smartphones. The global smart connected ovens market is led by LG Electronics, Robert Bosch, Samsung, Haier (GE Appliances), June Life, Breville, and Whirlpool. Although smart connected ovens are expensive, customers adopt them for their user-friendly and reliable features, which are absent in the ordinary and traditional ovens. Increasing digitization in homes has created the desire among customers to spend on smart connected home appliances. In addition, the growing Internet of things platform will help in the growth of the global smart connected cooking appliances market. However, many price-sensitive customers prefer regular ovens, which could be a major challenge for the market growth. Vendors need to develop their products in a mid-range category to attract more customers. The other smart connected cooking appliances market considered in the report were smart connected slow cookers, smart connected cooktops and smart connected coffee makers. Newell Brands, Behmor, Koninklijke Philips, Samsung and Robert Bosch provide these appliances. Newell Brands provides smart connected slow cookers that can be operated through Wi-Fi connectivity. 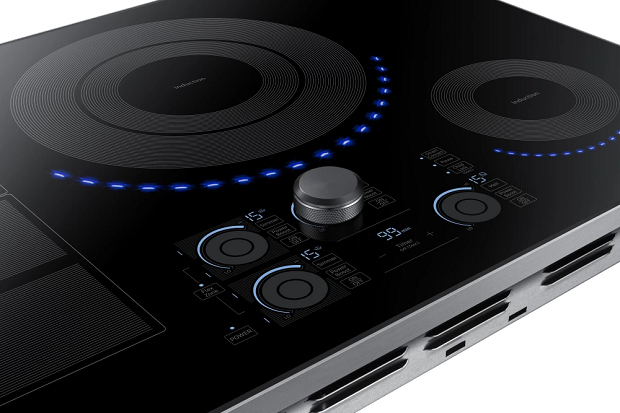 Some smart connected cooktops are induction cooktops, gas cooktops, and electric cooktops. Among these cooktops, induction and electric cooktops are powered by electricity. Due to the rising safety concerns and desire for quick heating and cooking, induction cooktops are gaining popularity in various regions. “The use of induction cooktops is high among the European population when compared to the US population. Smart functions equipped in these types of cooktops provide another level of convenience and comfort, and hence, attract more customers. Vendors provide cooktops with smart connectivity, due to this, customers can easily control and access them remotely from anywhere,” says Tamal. In another report Technavio said the global smart ovens market is expected to grow at a CAGR of almost 19% during the forecast period 2017-2021. 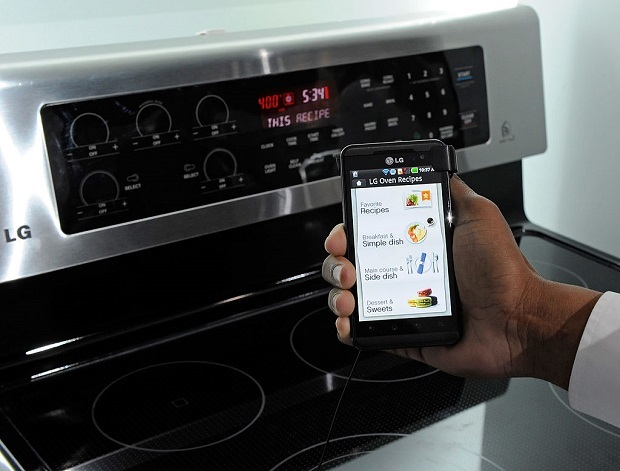 A smart oven is a device that is connected via Wi-Fi, NFC, or Bluetooth technologies to other smart kitchen appliances such as smart refrigerators and chimneys. The user can easily access the smart oven with the help of applications developed by vendors and control it from a remote location. With the advances in innovation and the growing inclination toward smart technologies, consumers are purchasing smart ovens that can be operated with smartphones. To improve their product offerings, vendors are expanding their distribution channel and increasing their R&D expenditure. Consumers in developed countries have high disposable income, enabling them to purchase advanced products like smart appliances. Consumers in developing nations have recently started investing in such technologies, facilitating a gradual growth of the smart ovens market. The usage of smart technology is high in developed countries due to the availability of high-speed Internet and enhanced telecommunication services, which boost the demand for smart home appliances. Developing economies such as China and India have high consumer spending and are focused on improving the quality of life. The top vendors in this sector are Electrolux, GE Appliances, Robert Bosch and LG Electronics. Customers are seeking faster cooking options that offer ease and convenience. Smart ovens can be controlled through a mobile application that provides user guidance, controls, and recipe details. The application also sends real-time status updates to users. The requirement for remote access is one the major factors that drive the demand for smart ovens among consumers. Smart cooking appliances are connected to Wi-Fi or Bluetooth and can be controlled through smartphones. They help consumers manage their hectic schedules by cutting down on cooking time. Companies such as Robert Bosch, Haier, LG Electronics, and SAMSUNG are constantly focusing on providing smart cooking options to customers,” adds Shikha. Smart kitchen devices are based on the IoT technology. They involve disruptive thinking, innovation, design, and advanced technologies. Devices such as smart ovens enable the user to operate entire kitchen activities with the help of mobile applications. Smart kitchen appliances consume less energy compared to normal traditional devices and provide continuous updates on power consumption. These devices are designed with advanced connectivity features, sensors, and finger-touch operations. Many kitchen appliance manufacturers are investing in R&D to develop integrated systems. They are including Wi-Fi, camera, and advanced software in kitchen appliances to integrate them into a single platform. This integration involves connecting cameras and Wi-Fi systems, which allows the user to monitor and control the devices. Such factors drive the growth of the global smart ovens market.